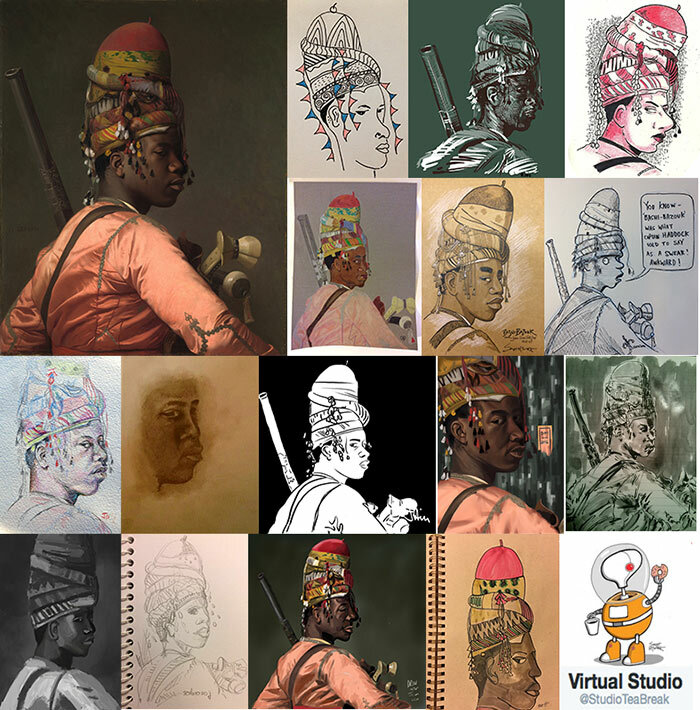 Thanks to everyone who took part in interpreting Jean-Léon Gérôme's painting for the Virtual Studio's Thursday #PortraitChallenge! There's a higher-resolution version of the painting over on Wikipedia, if you want to study it more closely. The titles of these paintings we examine always make me wonder. I felt a bit sorry for 'The Ugly Duchess' we studied last time; I don't think we'd officially label a painting of an old woman 'ugly' these days. 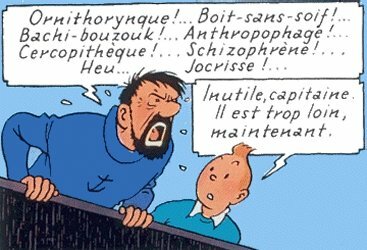 And I had no idea what 'Bashi-Bazouk' meant other than one of Captain Haddock's swear words in Tintin comics. Image suppied by @Le_Woodman on Twitter. 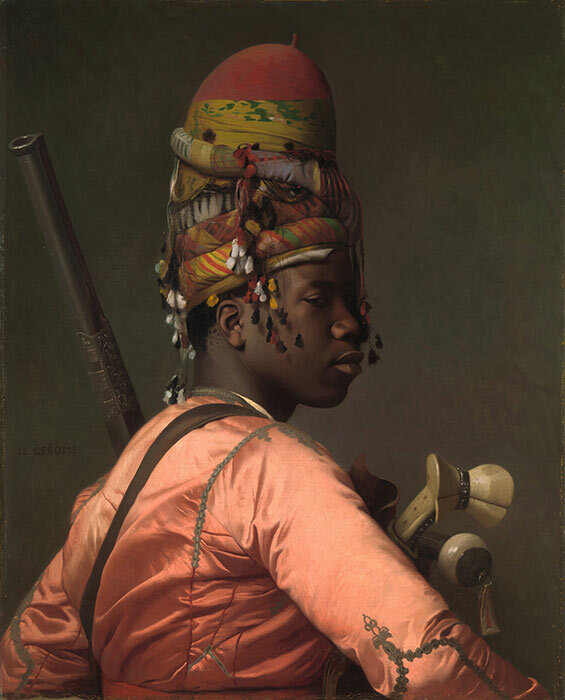 The Met in New York interprets 'Bashi-barouk' as 'headless' and implies the artist dressed the soldier in textiles he had lying about the studio, not that the soldier would have owned such a fine silk outfit. I looked up the Wikipedia entry for 'Bashi-Bazouk' and it felt very one-sided. It says the word means, literally, 'damaged head' or 'crazy head' and was used to describe mercenaries of the Ottoman army. It notes these people were particularly known for their 'lack of discipline' and that 'their uncertain temper occasionally made it necessary for the Turkish regular troops to disarm them by force'. But it also says that they weren't paid, given any uniform or badges like the other soldiers and they just had to plunder what they could. Which doesn't make for the greatest morale, I'd say. Reading between the lines, I'd say the Bashi-bazouk had a pretty rough time. 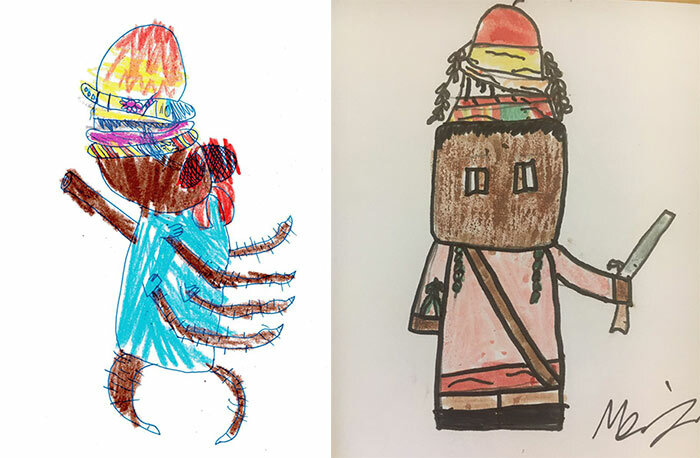 Edit: These two kids' entries came in late but they're too terrific not to include: 'Bashi as an insect' by Alec, age 7, and the second by Morris. The wording of the Met entry suggests to me that this is a model dressed in borrowed silk, not an actual Bashi-bazouk. But I think there are other finely dressed pictures of Bashi-bazouk? I'm saving my sympathy for the victims of the Bashi-bazouk, I think. I think of them as a kind of Viking raiders of their time and place. I followed that Batak massacre link, that was horrendous. It sounds like there's a LOT left unsaid in that Bashi-bazouk entry. And a lot of hardship involved, possibly on both sides. 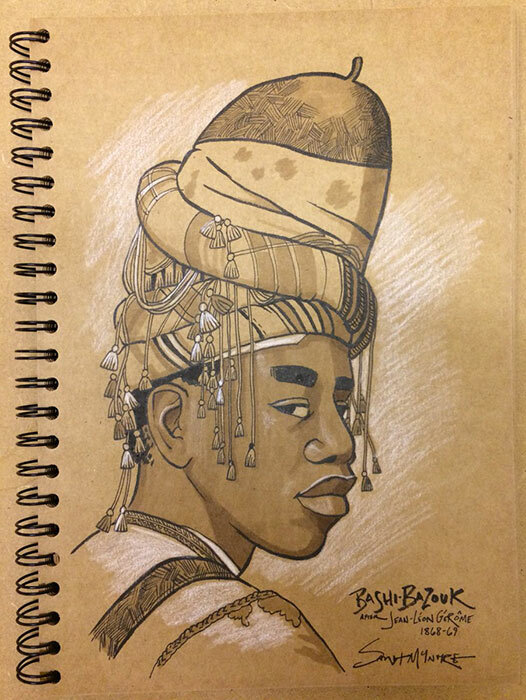 I wonder if anyone in, say, the past 30 years, has used the Bashi-bazouk as characters in historical fiction and tried to unpack it; perhaps what it would be like to be a young soldier caught up in that. I don't know of any recent fictional treatments: I imagine the writer would still be walking on eggshells to some extent, given the historical/religious echoes that are still current, but of course that might make it easier to make relevant/interesting! Your post triggered a faint memory of something I came across while reading about Ottoman Turkey, though I no longer recall why, hence I had an idea what to google.